October 10, 2018 was a very overcast day in the Black Hills. The clouds did not begin to clear until about 20 minutes before sunset, and only in the far west. 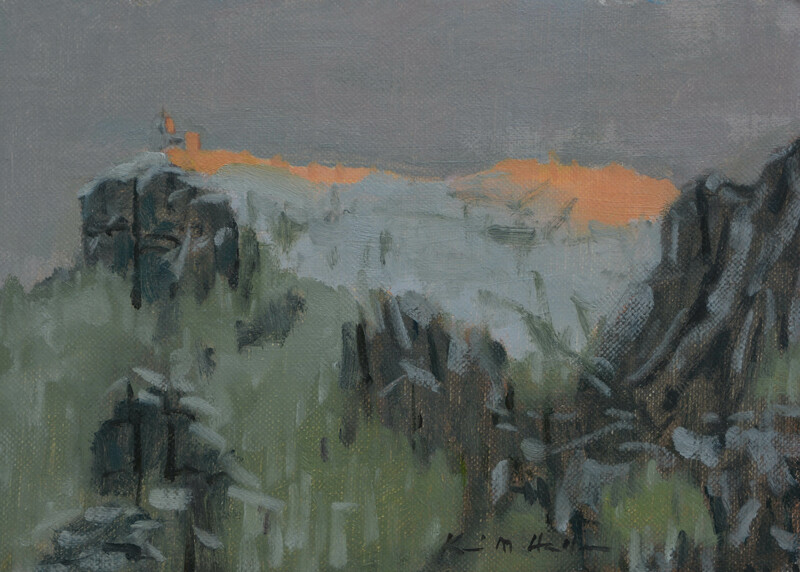 I painted the last glimpse of sunlight as it fell on the highest point in the Black Hills, Black Elk Peak.